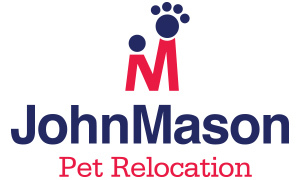 John Mason International is announcing a brand new pet relocation service, as part of its comprehensive offering. The international removals specialist has long been revered for its focus on looking after the entire family. And now that includes the fluffiest members too. “As a family business we appreciate, more than anyone, that much-loved four-legged friends play a hugely important role in the lives of many of our customers,” said John Mason International’s Simon Hood. With notice of between one and six weeks, John Mason International’s specialists will begin making arrangements for a client’s pet travel plan. “We tend to collect pets a day or two before their journey is due to begin – and board them at facilities close to Heathrow, Gatwick, Glasgow or Manchester airports,” added Simon. “Our vet carries out an examination, before issuing an Export Health Certificate – which means they are fit to fly. John Mason International overseas its global network of partner agents, who offer a full door-to-door service, depending on the needs of each family. “The Pet Relocation division liaises with our customers throughout and manages the entire process,” said Simon. “That can also mean talking to an animal’s existing vet, to establish any specific requirements for entering a destination country. “We make all travel arrangements – including collection, boarding, flights, Customs and DEFRA export submissions – as well as dealing with import requirements for the far end of the journey. John Mason International customers can also track the progress of their beloved pets as they travel to their new home, via special links provided by the Pet Relocation division. “And people needn’t worry about what happens once their animals arrive,” said Simon. “Our trusted partner agents can handle everything – from Import Permits, Customs clearance and quarantine booking, to transfer if needed and delivering pets to their brand new home.